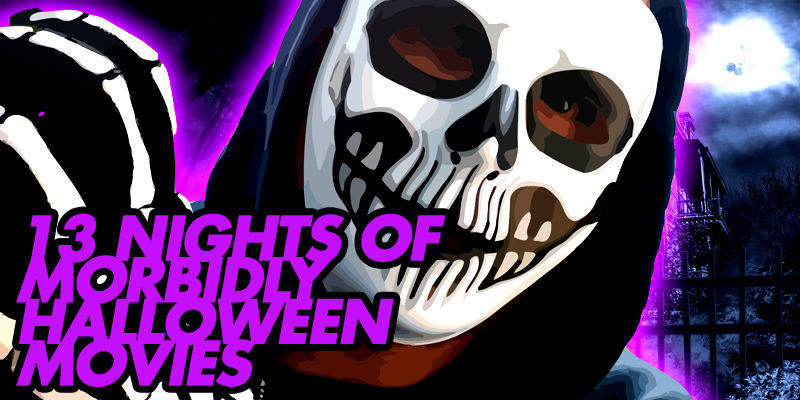 The 13 Nights of Morbidly Halloween Movies is coming! Join us! So what is the 13 Nights of Morbidly Halloween Movies, you ask? For the final thirteen nights of October, we will be posting articles about Halloween-themed movies, any genre! The best part? YOU control the content! We will be accepting submitted posts! Be a part of the magic! You must have fun making it! That's it, pretty simple, really. The posts can be reviews, retrospectives, anything! If you're worried a movie you might want to do is already taken by someone else then fear not! Multiple posts can cover the same movie if need be! If you're interested in contributing, please contact us by using ANY method (Facebook, Twitter, email or the contact form here on the site). I will begin posting the entries on the night of October 19 and they'll run to the night of October 31. Let's have some fun, shall we? Literally, you can pick ANY Halloween-themed movie -- maybe one that you feel you know more about than some of our other readers or one you just really like. Hell, maybe you even hate one and want to tell the world why. Let's go nuts! We're officially two months from Halloween! If you have any questions about the 13 Nights of Morbidly Halloween Movies, please feel free to drop me a line. We are open for submissions...NOW!